When you wanna compare String object with string literal, we often disregard what we compare with what, however there is one and safe way to do it. It's much better to use equals() and equalsIgnoreCase() for a string literal, instead of Object, because it helps to avoid possible NullPointerException. Just few typical mistakes developers do when dealing with Strings. It's common stuff and everybody knows that, but for some reasons I still find such things (even written by myself :-)). In old days (version 1.5 and lower) we used String.equal(""), but 1.6 brought us String.IsEmpty which is better and faster. Method String.concat creates new String object, it's OK to use it when you do operation only once, otherwise use operator + += operators (see below why). String s = "Hello ".concat("new").concat(" world! "); // "Hello new world!" Using operators + and +=, they do not use String.concat method but StringBuilder and it's important to know what it means to us. String s = "Hello " + "new" + " world! "; // "Hello new world!" String s = new StringBuilder().append("Hello ").append("new").append(" world! ").toString(); // "Hello new world!" So conclusion - it's ok to use concat if you do one time operation, for any other situation I would recommend to use + or +=. Very often in order to format string people either concatenate the string to achieve result or do replace or invent something else. I do it as well sometimes (what a shame!). Instead we should use String.format method to do that. I would be glad to hear other typical mistakes we do with String object! So please share your experience. Here is an example how to pass session using SOAP envelope approach. I was starlight with it for some time. That is why people use REST our days :) and not SOAP approach. Spend some time and found very detailed answer on stackoverflow: Create cross certificate for Domino Java agent? Tried connect method again - it worked! Gonna be easy task now (I thought). However nothing else except connect method worked. All other method of consumer either did nothing or returned null to me. I was confused, spend few hours and than contacted web-service provider, they were not familiar with Java and provided me example in PHP that worked as expected. My issue was I had to set SESSION_MAINTAIN_PROPERTY to true for my proxy object. Once I set session maintain to true - everything started to work. I'm going to setup simple project based on Play Framework together with Cassandra on two centOS servers. wget --no-cookies --no-check-certificate --header "Cookie: gpw_e24=http%3A%2F%2Fwww.oracle.com%2F; oraclelicense=accept-securebackup-cookie" "http://download.oracle.com/otn-pub/java/jdk/8u60-b27/jdk-8u60-linux-x64.tar.gz"
Time to create our first project. 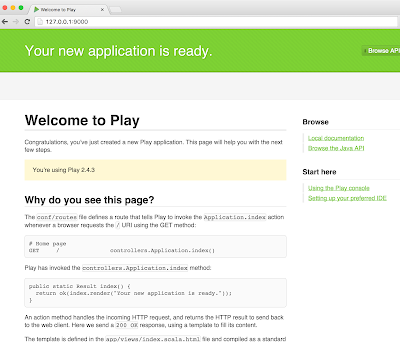 Play Framework provides many templates, we are going to use play-java (it has already web interface and some code, so we can discover it). //1. 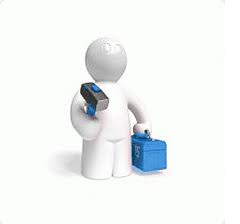 create folder www in /var (we are going to keep projects there). 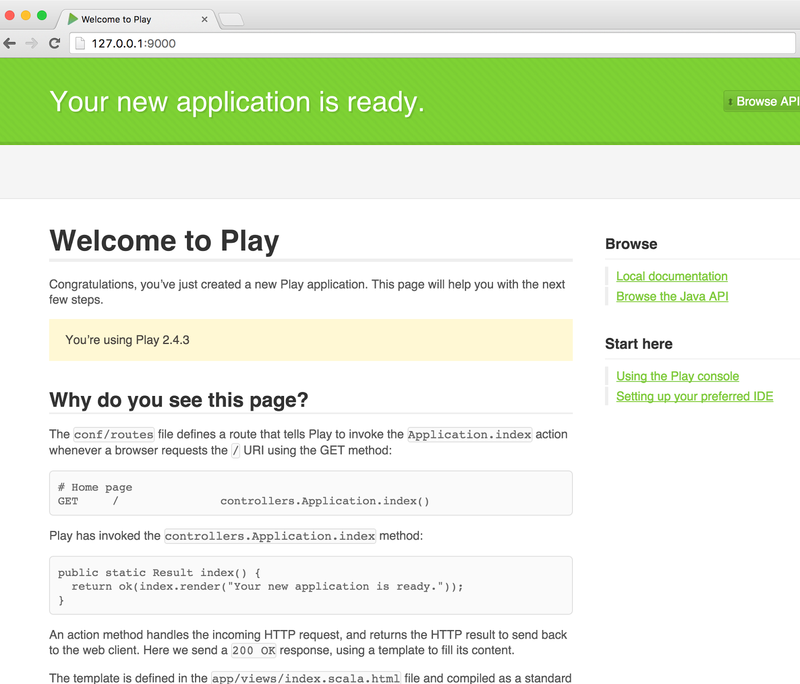 Now you are ready to open project in browser. Type 127.0.0.1:900 and boooom, we have it ready! I'm going to play with centOS little bit more (before I start to look on code). I already have some minor issues I want to optimise. Let's say you need to parse a string into date and it is localized string (f.x. name of month on local language). In past I would definitely define an array with months and then parse a String to get a number of my month and then build a Date object. In Java it's pretty simple (almost 1 line of code). Recently I faced up with WSDL which I couldn't import into Web Service Consumer. Our consumer worked well from last 5 years but it is a long period and during that time our Service Provider was updated a lot so we decided to update our Consumer as well. Guess everything went fine? Hey, what? This WSDL is used by many another applications without any issues, what is going on!? I downloaded WSDL as file to my local PC and tried to import it as Lotus Script again. This time it went fine (except issues with Name too long). Well, great news anyway, at least everything works when WSDL is a local file. OK, it's time to blame Designer and IBM! Why it is so difficult just to import WSDL? All another application that use WSDL from our server did not have such issues. It's just not fair :). 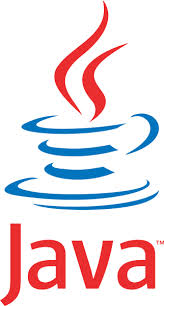 Found a file with error and quite typical line: java.lang.OutOfMemoryError: Java heap space. I knew what to do, I increased HTTPJVMMaxHeapSize and JavaMaxHeapSize to 512M, restarted Designer/Notes and tried again. Worked well! I restored original values to HTTPJVMMaxHeapSize and JavaMaxHeapSize after that. Simple thing however it costed few hours for me. Hope it will save some time for other people. What is comfort zone for Domino developers our days? We are aiming in few years to let our users to un-install LN and simply use browsers and that would be perfect. That time we should have no even 1 line LS and @Formula. encode in UTF-8 without BOM.